FRESNO, Calif. (KFSN) -- In about a month the City of Fresno will be celebrating the grand re-opening of Fulton Street. 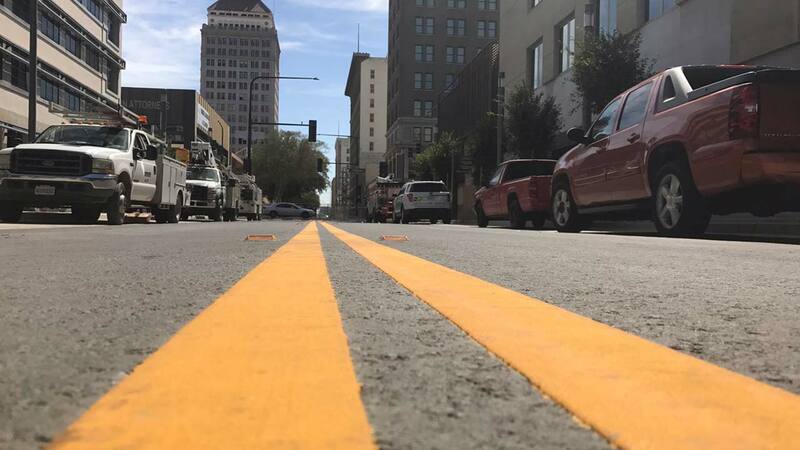 Earlier this week the first stretch opened to traffic between Tuolumne and Fresno streets and in just a couple of days, the second stretch will open up. Ahead of the grand reopening celebration organizers are hoping more volunteers step up to help with the all-day event featuring live music, pop-up shops, and beer gardens. They need about 200 people to sign up for various time frames. To find out how to sign up click here. The event begins at 2:00 pm with a pre-ribbon cutting ceremony at the Mariposa stage and ends at 10:00 pm. Volunteer shifts begin at 11:00 am with event set up and end at 12:00 am with event tear down/clean up. Volunteers are expected to complete one 3-hour shift. Volunteers should arrive 45 minutes prior to their shift for check-in and training. An email will be sent to all participating volunteers one week prior to the event with additional information (e.g. parking, shift details). If you'd like to volunteer for more than one shift, please select multiple shift preferences. Some volunteers may be required to move heavy objects. Please list any considerations we should keep in mind when scheduling you to volunteer in Question 9. Must be 21 and older to work in the beer/wine gardens. For more information about specifics of volunteer positions, please contact info@downtownfresno.org.